Pregnancy is one of the most blissful times in every woman’s life. Along with the happiness comes a sense of responsibility. Along with the responsibility come all the advices and the worries about antenatal period. What to expect? Whom to believe? What advices are to be followed? Having gone through all of this recently myself, I can say that pregnancy is one heck of a roller coaster ride. Many women face complications during pregnancy. Some related to Physical health and some related to Mental health. Out of the problems related to physical health, Gestational Diabetes (GDM) and Pregnancy induced Hypertension (PIH) are of utmost concern. PIH is the development of hypertension for the first time after 20 weeks of gestation without the presence of protein in urine or other signs of pre-eclampsia (a potentially dangerous pregnancy complication characterised by high blood pressure along with swelling of hands and feet.). Hypertension (HTN) is defined as blood pressure more than 140/90 mmHg. What are the types of PIH? Women with gestational hypertension have high blood pressure that develops after 20 weeks of pregnancy. There is no excess protein in the urine or other signs of organ damage. Some women with gestational hypertension eventually develop preeclampsia. Chronic hypertension is high blood pressure that was present before pregnancy or that occurs before 20 weeks of pregnancy. But, because high blood pressure usually may not be present with any symptoms, it might be hard to determine when it began. This condition occurs in women with chronic HTN before pregnancy who then develop worsening high blood pressure and protein in the urine or other health complications during pregnancy. 20weeks of pregnancy. If left untreated, preeclampsia can lead to serious — even fatal — complications for mother and baby. Previously, preeclampsia was only diagnosed if a pregnant woman had HTN and proteinuria. However, experts now know that it’s possible to have preeclampsia, yet never have proteinuria. In a woman with pre eclampsia, if tonic clonic seizures appear it is considered as eclampsia. What signs and symptoms should one look for? ● Sudden weight gain and swelling (edema) particularly in your face and hands — often accompanies preeclampsia. But this can also occur in many normal pregnancies, so they’re not considered reliable signs of preeclampsia. If you experience any of the symptoms mentioned, immediately report to your Gynecologist or health care provider. What problems can you face if you develop PIH? 2. Placental abruption- in which the placenta partially or completely separates from your uterus before your baby’s born. This can deprive your baby of oxygen and nutrients, and cause severe bleeding that can be dangerous to you both. What is best way to manage PIH? Consult your Doctor at the earliest and keep up with your follow ups and the prescribed medications. Along with medicines make sure you follow a healthy lifestyle keeping a close watch on your weight gain. Include the below to aide a normal pregnancy. 1. Bed rest depending on your blood pressure. 2. Manage your stress with the help of Meditation and try indulging in hobbies. 3. Salt restriction goes a long way in reducing your blood pressure. 5. Maintaining a healthy and nutritious food pattern is the best remedy for any form of disorder and works for PIH too. It is very important to maintain a healthy blood pressure through the entire pregnancy and one must not wait till pregnancy to start adopting good lifestyle practices. Always remember Healthy Mother – Healthy Baby !! Low fat, low carb, or Mediterranean: which diet is right for you? Losing weight sometimes takes experimentation. If you give a diet your best shot and it does not work long term, may be it was not the right one for you, your metabolism, or your situation.Genes, families, your environment – even your friends – influence how, why, what and how much you eat, so don’t get too discouraged or beat yourself up because a diet that “worked for everybody” didn’t pay off for you. Try another, keeping in mind that almost any diet will help you shed pounds – at least for a short time. Here is a look at three common diet approaches. Once the main strategy for losing weight, low fat diets were shoved aside by low-carb frenzy. But, healthy fats can actually promote weight loss, and some fats are good for the heart; eliminating them from the diet can cause problems. Since fat contains nine calories per gram while carbohydrates contain four, you can theoretically eat more without taking in more calories by cutting back on fatty foods and eating more that are full of carbohydrates, especially water-rich fruits and vegetables. Still such a diet tends to be less filling and flavourful than other diets, which lessens its long-term appeal. And, if the carbs you eat in place of fat are highly processed and rapidly digested, you may be sabotaging your weight loss plan. Eating carbohydrates – especially highly processed ones like white bread and white rice quickly boosts blood sugar, which triggers an outpouring of insulin from the pancreas. The surge of insulin can rapidly drop blood sugar, causing hunger. Low-carb proponents claim that people who eat a lot of carbohydrates take in an extra calories and gain weight. Limiting carbs in favour of protein and fat is suppose to prevent the insulin surge and make you feel full longer. To make up for the lack of carbohydrates in the diet, the body mobilises its own carbohydrates stores from liver and muscle tissue. In the process the body also mobilises water, meaning that the pounds shed are water weight. The result is rapid weight loss but, after a few months, weight loss tends to slow and reverse, just as happens with other diets. The American Heart Association cautions people against following the Atkins diet because it is too high in saturated fat and proteins, which can be hard on heart, kidneys and bones. The lack of carb rich fruits and vegetables is also worrisome, because eating these foods tends to lower the risk of stroke, dementia and certain cancers. Most experts believe that the south beach and the less restrictive low-carbohydrate diet offer a more reasonable approach. Good fats are the monounsaturated fats found in olive oil and other oils like Coconut oil etc,and the polyunsaturated fats found in fish, Canola oil, walnuts and other foods. (Saturated fats and trans fats are the bad guys.) Mediterranean diets tend to have a moderate amount of fat, but most of it comes from healthy fats. The carbohydrates in the Mediterranean-style diet comes from unrefined, fiber-rich sources like whole wheat and beans. 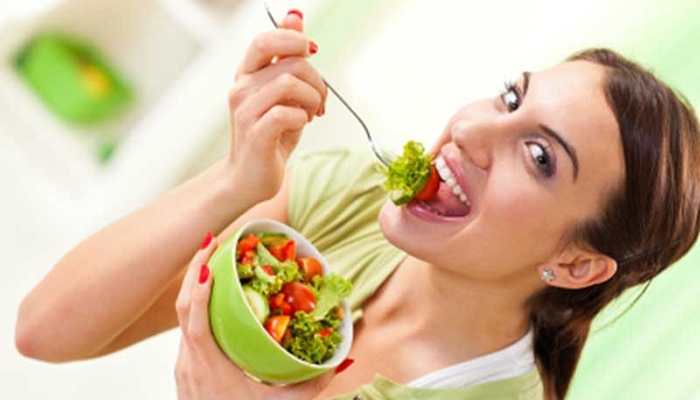 These diets are also rich in fruits and vegetables, nuts,seeds and fish with only modest amount of meat and cheese. People living in the Mediterranean countries have a lower-than-expected rate of heart disease. But the traditional lifestyle in the region also includes lot of physical activity, regular meal patterns, wine, and a good social support. It is hard to know what relative role these different factors play – but there is growing evidence that, in and of itself the diet can reduce cardiovascular risk and the development of Diabetes. A good diet should provide plenty of choices, relatively few restrictions, and no longer grocery lists of sometimes expensive special foods. It should be good for your heart, bones, brain and colon as it is for your waistline. And, it should be something you sustain for years. Such a diet will not give you a quick fix. But, they can offer you something better- a lifetime of savoury, healthy choices that will be good for all of you, not just a part of you. Ageing is not skin deep! Rejuvenate the Natural way! Age is just not a number! Aging affects the way we look and the way we feel. It affects our bodies in more than many ways as what we anticipate. The good news is that the aging process can be delayed by incorporating the right ingredients in your daily diet. The key is to focus on improving your cellular health and hormonal levels. Aging does not stop at the surface level. It profoundly depletes the deeper layers, leading to unmistakable signs that no makeup can disguise and only anti-aging supplements, foods and products that work at both the cellular and hormonal levels can repair. Not even cosmetic surgery can correct some of these consequences. 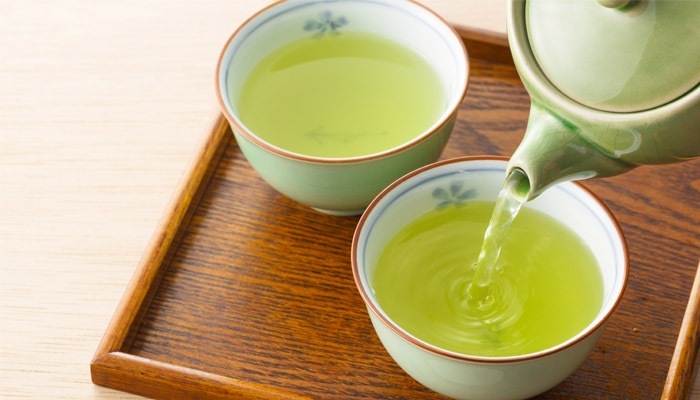 Green tea: – Green tea consists of leaves that haven’t been fermented and so contain the highest level of antioxidants. These teas contain polyphenols called catechins. Green tea catechins reduces the level of damaging free radicals. When applied to the skin, tea repairs scar tissue and prevents wrinkles, blemishes and other impurities. When used as a sunblock, tea can actually reduce or completely erase sun damage. It also helps with warts, psoriasis, acne, and rosacea. Tea sachets are beneficial when cold, too, helping to reduce puffiness by virtue of combining a cool compress with tannins. Tannins are a type of astringent that help to constrict blood vessels and reduce swelling. The caffeine in tea also tightens facial skin for a leaner look. Turmeric:-Turmeric contains high amount of antioxidants. Antioxidants are essential for protecting the integrity of the skin by preventing free radicals from destroying its texture and elasticity. Research shows that turmeric inhibits a key enzyme (elastase) that reduces the ability of elastin from forming. Elastin, along with collagen, is a protein needed for making the skin smooth and pliable, and also helps it to retain its original position when pinched. In fact, turmeric, in vitro, may inhibit elastase by up to 65%. Red Grape Juice:- Grapes and grape juice contain alpha hydroxy acids that help to make skin wrinkle free and smooth. Alpha hydroxyl acids in grapes are useful in removing surface scars as well. Gingko Biloba:-Ginkgo’s antioxidant properties neutralize the free radicals that can damage proteins within the cell, enzymes, or the fragile lipid membranes that surround and protect the cell. The leaves of the ginkgo tree contain flavonoids and turpenoids – types of antioxidants which make it one of the best natural anti-aging supplements. Hop plant: – Hops are also great if you have mature skin as it helps to balance moisture levels in the skin. Hops inhibit the elastase enzyme that is responsible for causing cross-linking in collagen. When our collagen is cross-linked, it breaks down, and the signs of aging gradually emerge. Fennel: – It has powerful antiaging properties that will protect both skin and hair from premature aging. Fennel contains super-antioxidants like superoxide dismutase, catalase, and peroxidase, all of which are known to have properties effective at protecting the skin from environmental stressors. Fenugreek:-The seeds are a rich source of vitamin B3 and niacin that helps in recovering the damaged skin cells and promotes the regeneration of new cells and tissues that help in lightening age spots, hyper pigmentation wrinkles, fine lines and crow’s feet that form on the forehead, at corner of eyes and lips. Aloe Vera: – It functions as an effective natural remedy for pimples and acne and reducing excessive oiliness of skin. Malic acid present in aloe vera gel improves skin elasticity and reduces wrinkles and fine lines- the most evident signs of skin aging. 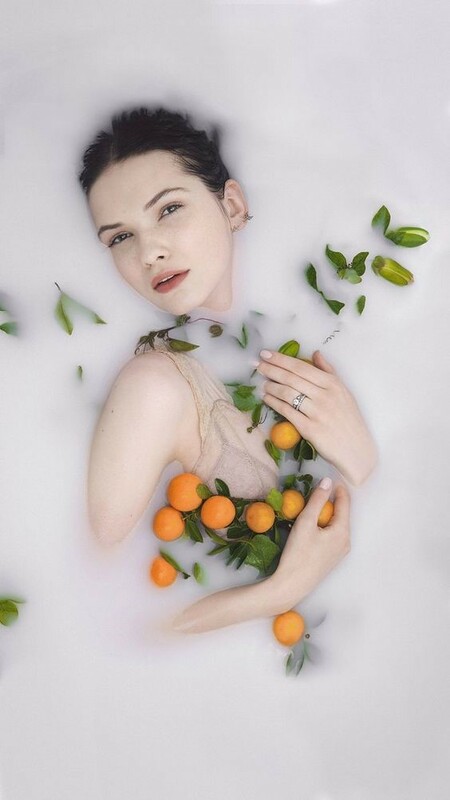 Zinc present in the gel increases the youthfulness of skin by shrinking the pores whereas mucopolysaccharides – long chain sugar molecules present in the gel helps in retaining moisture and improves formation of collagen – the protein that forms the basis of cell structure and maintains skin elasticity. Banana: – This fruit is loaded with skin benefitting nutrients such as potassium, vitamin B, vitamin C and vitamin E that makes it a complete remedy for all skin problems. It helps in hydrating and moisturizing dry skin, improving collagen production, skin elasticity and suppleness and fighting the damage causing free radicals and oxidative stress to provide a flawless and younger looking skin and adds a healthy glow to it. Almonds:- Almonds are loaded with nutrients such as vitamin E, iron, zinc, folic acid and oleic acid that function as powerful antioxidants which prevent the degeneration of collagen fibers of skin and delay the aging process by treating wrinkles and fine lines. Avocados:-It acts as a nourishing moisturizer for excessive dry skin that also helps in repairing damaged cells and promotes the regeneration of new cells. The antioxidants and amino acids present in this exotic fruit flushes out toxins from skin and prevents premature skin aging. Pineapple Juice: – Pineapple juice is also effective for preventing premature aging. Being loaded with antioxidants such as potassium and vitamin C, pineapple juice helps in neutralizing the harmful effects of free radicals and oxidative stress of cells thus preventing premature aging of skin. It also helps in improving skin tone and correcting uneven skin tone, dark patches, age spots and hyper pigmentation. Why you need to strengthen your core? How often have you heard this line from a fitness trainer/doctor/health coach?? I do not want to bore you with the scientific names of the muscles consisting of the core, which I’m sure nobody would understand and everybody would just scroll over. So to make it simple, the core of the body is broadly considered to be the torso. It is a complex series of muscles, extending far beyond your abs, including everything besides your arms and legs. 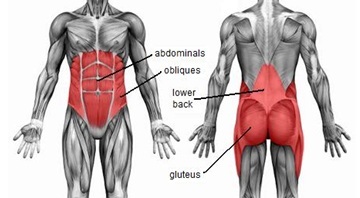 The major muscles of the core reside in the area of the belly and the mid and lower back, and peripherally include the hips, the shoulders and the neck. It is incorporated in almost every movement of the human body. Functional movements are highly dependent on this part of the body, and lack of core muscular development can result in a predisposition to injury. The core forms a sturdy central link between your upper and lower body. Much like the trunk of a tree, core muscles need to be strong yet flexible. A weak or inflexible core drains power from many movements and can make it downright difficult to do some. Contains and protects the internal organs –You will notice that this part of your body (core) doesn’t have many bones, except for the spine and some floating ribs, yet it contains many important internal organs that need to be kept safe and sound. Without the bony structure to rely on, the entire area needs to be wrapped up tightly to maintain the integrity of its contents. So I like to think of our core musculature as a tightly wrapped package protecting the internal organs. Ensures greater mobility of the spine and trunk –Because of the way our core musculature is organized, it allows a great range of movement in the trunk. It allows us to bend forward, backwards, sideways, twist and do combinations of those. Stabilizes the top part of the body over the bottom part- the core determines to a large part a person’s posture. In all, the human anatomy is built to take force upon the bones and direct autonomic force, through various joints, in the desired direction. The core muscles align the spine, ribs, and pelvis of a person to resist a specific force, whether static or dynamic. In essence, core stability means ‘stability of the spine’, ‘core strength’ is the ability to support your spine and keep your body stable and balanced. It is the strength that allows you to perform manual tasks safely and effectively in everyday life. There are “five different components of core stability: strength, endurance, flexibility, motor control, and function”. Without motor control and function, the other three components are useless, like a fish flopping out of water no matter how strong you are or how much endurance you have. Muscular tone helps blood circulate more effectively once it’s pumped from your heart. 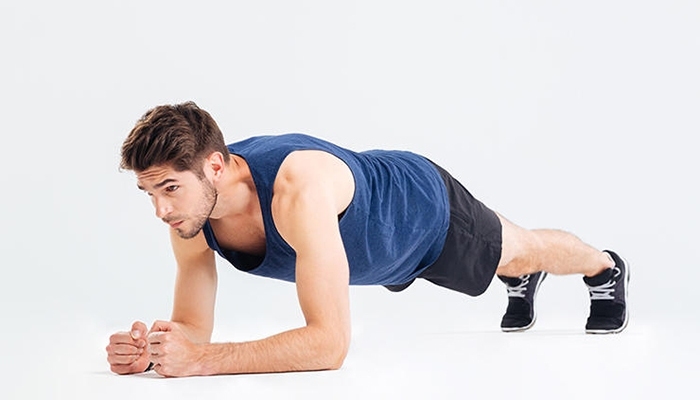 Core muscles are no exception, and when your core is strong you can notice an improvement in blood circulation. Core stability promotes healthierdigestion. The digestive system contains a lot of blood vessels and when the core area is stagnant, the whole digestive system may feel more sluggish too. You may see increased bloating, discomfort, and indigestion associated with meals. The digestive system also contains a large and essential part of the immune system. Core strength can help support your body’s immunity too as it rounds out healthy digestion and circulation. Because the diaphragm is located near the core, core strength promotes deeper and higher quality breathing. Because the pelvis is located near the core, women may find relief from cramps and PMS around the menstrual cycle after strengthening core muscles. Women use their core muscles during labor and delivery too, and having a strong core, help in an easier labor. Finally, the physical balance that comes from supporting your core can extend to yourmental-emotional health as well. Physical balance promotes a sense of calm, steadiness, and support. Let’s end with a fun activity!! Let’s all of us measure our core strength, this way even people with regular exercise (including me) will know where we stand and how much further we need to work for a strong core.. Core Muscle Strength & Stability Test was designed by Brian Mackenzie, a senior athletics coach with UK Athletics, the United Kingdom’s National Governing body for Track and Field Athletics. Preferably use a mat for performing this test, to get accurate results. If you can complete the test fully, you have good core strength. if you cannot complete the test fully, your core strength needs improvement. This results in wasted energy and poor biomechanics. If you are unable to complete the test practice the routine three or four times each week until you improve. By comparing your results over time, you will note improvements or declines in core strength.